FlutterbyeFaery Designs: BrownieScraps CT Call! 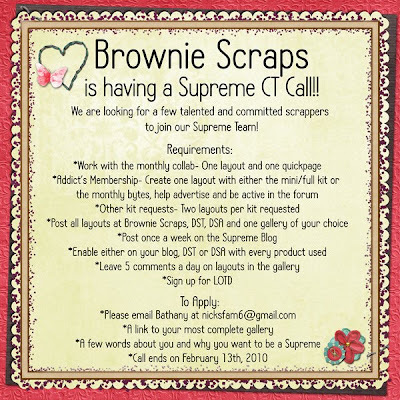 Brownie Scraps is having a Supreme CT Call!! We are looking for a few talented and committed scrappers to join our Supreme team!